A healthy self-image is a massive challenge for children, pre-teens and teens who experience a sudden injury, illness or who suffer from a chronic illness. 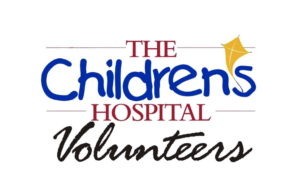 Prom Night at The Children’s Hospital at OU Medical Center exists to provide a social activity for hospital patients to help combat depression, anxiety, and withdrawal from social experiences that are common and compound the health challenges these children face. On the day of the event, volunteers act as event coordinators, helping in a multitude of areas, such as facilitating the selection of dresses and suits by the attendees, hemming clothing as needed, coordinating beauty (hair and makeup) and grooming sessions, manage games and craft areas, photo booths, etc. Families of Prom attendees are also invited to the event, allowing the entire family a chance to laugh, smile, and dance together! 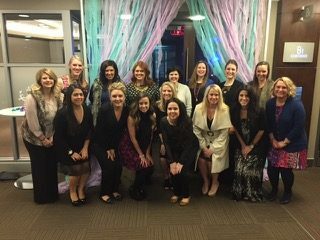 Junior League volunteers also plan and provide respite and relaxation to the parents and caregivers of children at The Children’s Hospital at OU Medical Center. A monthly activity is planned by JLOC volunteers for parents and caregivers, giving them the opportunity to regroup and refocus on themselves in an otherwise stressful time. Activities focus on allowing the parent or caregiver to put their health and wellness first for a short amount of time, recognizing their health is paramount to supporting their ill loved one. JLOC volunteers also provide supervision to the children and patients of these parents, helping occupy them with activities taking place in The Zone at The Children’s Hospital, an area specifically designed and gifted to the Hospital by the JLOC in 2009.